In an era built on digital connections and social media influence, LinkedIn has become the 21st century version of a business card. When the platform was introduced, many used it solely as a tool to find a job, but now the 260 million active monthly users have taken the social network to new dimensions. LinkedIn has grown into the most used social media platform among Fortune 500 companies and was acquired by Microsoft for $26.2 billion in 2017. With more than 87 million Millennial users, it is considered the number one channel for B2B marketers to distribute their content. LinkedIn is an online force you can’t ignore and a tool that businesses have developed unique strategies to thrive on. One of the most impressive benefits are its analytics—who has viewed your profile, post reach, the titles of the people who are viewing your posts, and geographic data. I am the first to admit that I have struggled with my LinkedIn profile. 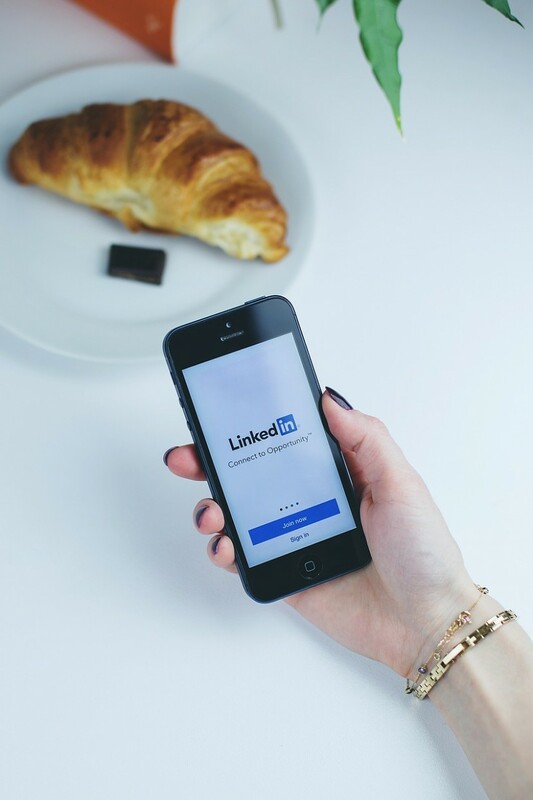 At first glance, I didn’t believe it was as user friendly as other social media networks like Twitter and Facebook, but after diving in, I discovered that LinkedIn is a power tool for professionals, students, and employees of all ages. Here are six tips to help you strengthen your LinkedIn profile and leverage your network in new, positive ways. 1. Connect with EVERYONE. When it comes to Facebook and Instagram, I am a little more selective on who I follow and vice versa. Those platforms are used for more personal content, whereas Twitter and LinkedIn are used to connect with colleagues and business professionals. You know that barista you chat with each morning before heading to the office? Connect. Your favorite meteorologist on the evening news? Connect. Do you remember the group project you completed sophomore year of college? Connect with every one of those classmates and the professor. Leverage each relationship to build a powerful network, while bringing value to each of your followers in a personal way. 2. One hour, once a week. I often find content relative to my professional interests that I think would be great to share with my online followers. Posting on your LinkedIn timeline isn’t difficult, but it needs to be consistent. Find one hour in your week to dedicate to your personal profile—share, like, engage, connect. I love the website SmartBrief.com. When I am short on time, this online tool brings me up to speed on the latest news in all industries and offers great links to share on my page. · The school you are attending/where you graduated. · A way for colleagues to reach you—email or Twitter handles are both great options. · Your role at your current job or what skills you can offer potential employers. Invest in a professional photo. As a young professional, I know spending a pretty penny on a photo shoot is probably not in the budget, but this step can be cost-effective. Connect with a friend looking to build his/her photography portfolio or find a bare wall and ask your roommate to use Portrait Mode on his/her iPhone. You want to capture from the waist up, wear an outfit typical in your field of work or study, and use natural lighting to get the best shot possible. Engage and evaluate. Don’t forget to engage with your connections. Read their articles, like their posts, and join their discussions. Evaluate your own posts and articles. Which type of content receives the most engagement? Take time to analyze what you are delivering and what best resonates with your network. Activate “Nearby.” At a recent event with a group of marketing professionals, the emcee welcomed us by encouraging all attendees to connect with “Nearby” LinkedIn users. Within moments, I had 15 new connections with the individuals at my table. This feature on your phone allows you to digitally connect with anyone who has a profile in the same geographic location as you. Simply turn on Bluetooth, open the LinkedIn app and click on the "My Network" tab, and tap "Find Nearby." Like anything, LinkedIn takes time to navigate and become accustomed to, but if you start with these six easy steps, you’ll be on your way to building a great new business card. Start your profile-building today by connecting with me at www.linkedin.com/in/monigallaher.